Embrace the salt air, feel the sand between your toes, learn, discover, explore…… embrace everything that is great about our bay and more. 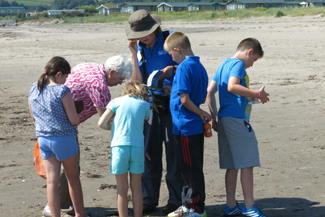 We have a host of on site activities to encourage all the family to truly embrace our surroundings. Hurtle down the beach in a blo-kart or discover the abundance of gastronomic delights which can be foraged from the beach. Check our on-line calendar for activity dates. 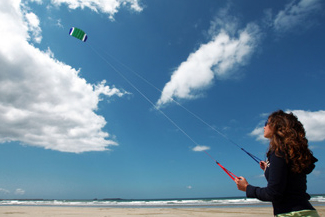 Discover the exciting world of power kiting with a fully qualified kite instructor. Be prepared to get dragged down the beach in your quest to harness the power of the wind. Great fun for the whole family and a definite must try. 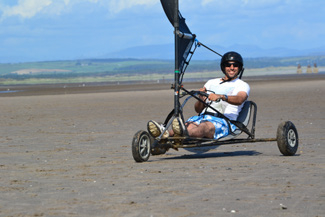 Sample a host of activities on one of our legendary beach activity days. Archery, laser quest, kayaking, paddle boarding, wind surfing and blo-karts are all available. An action packed day which will leave you and your family feeling energised and satisfied with a selection of new skills under your belt. 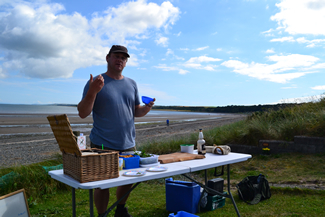 Our foraging walks lead by Mark William of Galloway Wild Foods are proving to be very popular. Mark will astonish you with how wonderfully rich our natural larder is. You will discover a variety of edible natural treats and learn how to prepare them into dish worthy to grace the menu of the finest restaurant. Think Heston Blumenthal meets Ray Mears! The walks usually last 60- 90 mins followed by an opportunity to cook up your finds with Mark’s cooking demonstration. This is one not to be missed! Sit back and relax in The Lighthouse Bar whilst Emma Louise takes your children for an exciting dance lesson. 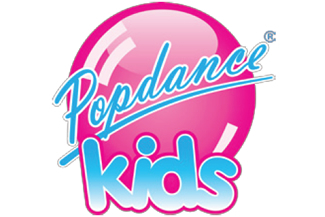 Your kids will learn the dance routines to their favourite pop songs and have skills to impress their friends at home. A great opportunity for mum and dad to take a well earned rest! Our RSPB rangers are providing us with a newly updated list of activities for 2016. Build spider webs, build bug hotels, create a nature hide, craft a bird house, create some sea shell art or join us for a sand sculpture competition. Discover just how fascinating and beautiful our environment is in a truly engaging hands on approach.